Volatility Returns to the Forex Markets! 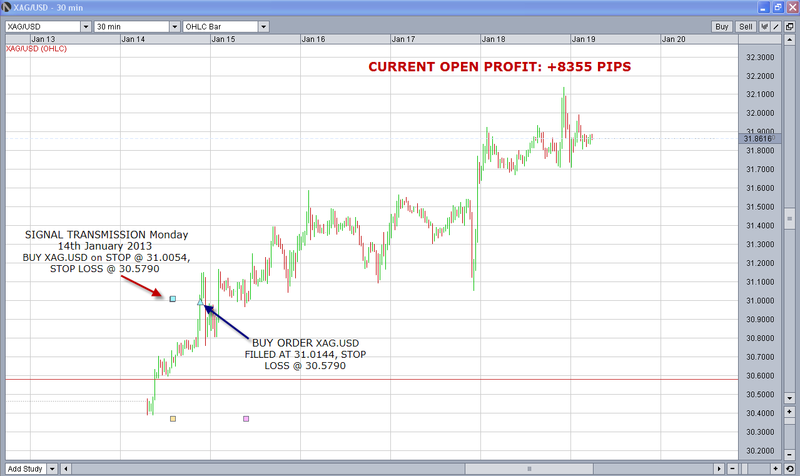 Last week the Volatility Breakout Components of our Forex Signals Program put in strong Performance on GBP.USD (+296 PIPS open profit), XAG.USD (+8355 PIPS open profit), with small open losses on EUR.USD (-38 PIPS), USD.JPY (-105 PIPS closed , -6 PIPS open) and Daily Intermarket (System 4), Intraday Intermarket Components (Systems 5 & 6) both consolidating recent gains. Volatility Returning to the Forex Markets! 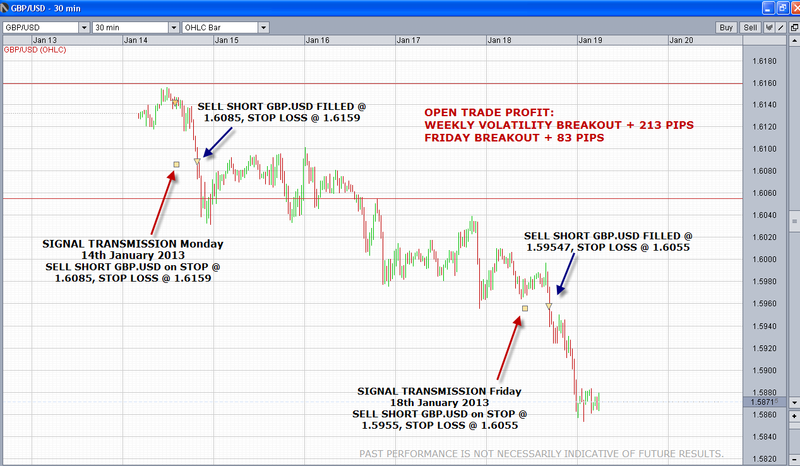 The British pound sold off sharply last week forming a wide range weekly bar to the downside and helping us to accumulate +296 open profit on GBP.USD in our weekly VBO Signals Component as mentioned above. We see the same phenomenon on XAG.USD (spot silver priced in US$). Monday last week we pointed out to our Signals Subscribers in our Daily Market Update that XAG.USD had formed a narrow range Inside Weekly Bar and that a breakout move was likely. Note how silver opens at the lows for the week and trades steadily higher as the week progresses. This is the same phenomenon as GBP.USD above but in reverse: Short traders begin to feel pain as prices move up and start liquidating their positions. Long traders initiate and add to their positions as the move gathers steam with shorts scrambling to cover their positions going into the weekend.